These are, without a doubt, the most leaked phones in the history of leaked smartphones. While they’re mostly incremental updates to last year’s phones under the hood, both models have an updated aesthetic—especially the XL model. The Pixel 3XL is getting updated with a 6.3-inch display—.3 inches bigger than last year—with a mostly edge-to-edge notched panel. 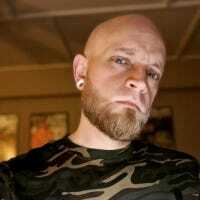 The notch is bigger than most other phones, as is the device’s chin, which is going to be polarizing to a lot of people. To keep the larger size more manageable, the 3XL uses an 18:9 aspect ratio instead of the more traditional 16:9. That means it’s slightly taller but more narrow. The smaller of the two devices will also get a bump in size—up to 5.5-inches from previous years’ 5-inch panel. This is also thanks to the 18:9 display ratio. Otherwise, both phones are expected to have wireless charging, improved cameras, Qualcomm Snapdragon 845 processors, 4GB of RAM, 64/128GB storage options, and come in black, white, and sand color options (the latter of which is shown above). 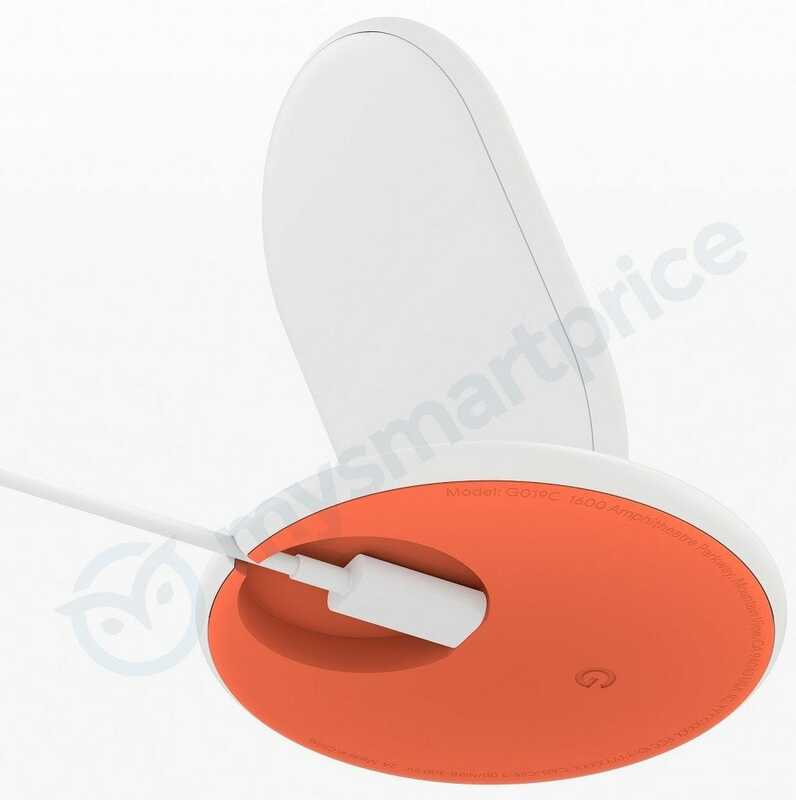 There have also been leaks of a Pixel Stand, a wireless charging dock that perfectly matches the Pixel aesthetic. Both phones (and presumably all accessories) be available for pre-order immediately after the announcement. Last year we got the Pixelbook, Google’s new premium Chromebook. Since then, the company has done a lot with Chrome OS on the tablet front, and the Pixel Slate is reportedly going to be the culmination of that work. The is Google’s first tablet in a few years and the first one from the company that will run Chrome OS. 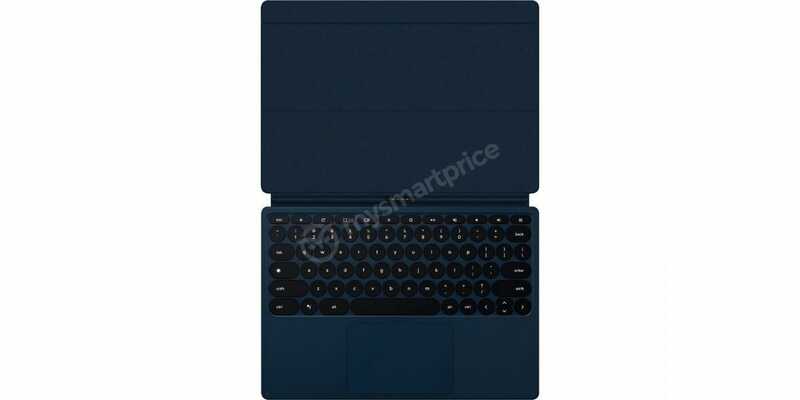 It has been “leaked” under its codename “Nocturne,” and so far we know that it will have a keyboard accessory from Brydge, making this an incredibly interesting tablet/laptop hybrid device. A more recent leak also showed off a different sort of keyboard attachment, presumably with a magnetic back of some sort. It’s quite unclear how that will work, honestly. There appear to be four versions of the Slate with varying levels of hardware—Celeron/8GB RAM, Core m3/8GB RAM, Core i5/8GB RAM, Core i7/16GB RAM—making this device more of a laptop than a tablet—at least form a performance and usability standpoint. Like the Pixlebook, the Slate will also work with the Pixelbook Pen, and a new version will be available that matches the Slate aesthetic. Pricing details aren’t available yet, but I expect that top end unit to hit above the $1,500 mark. 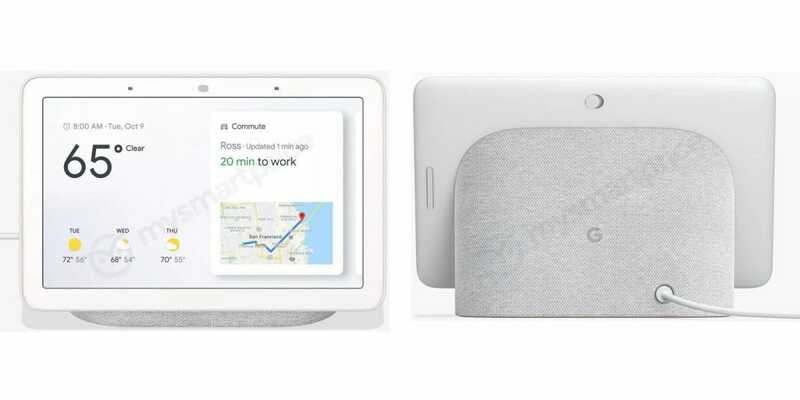 This is probably the least leaked device of the bunch, but that’s also because it seems to be very similar to the current Pixelbook. All information about what we assume is the Pixelbook 2 points to a device codenamed “Atlas” in the Chromium repository, which shows it as a laptop device with a 4K display. 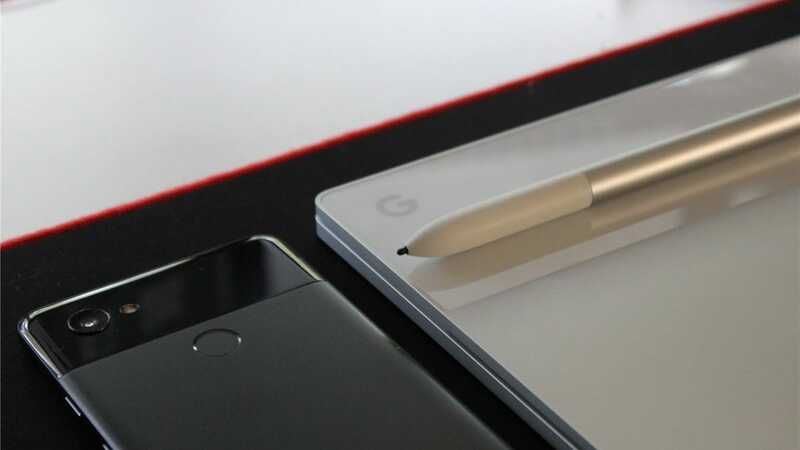 It’s rumored that it will also be a convertible like the current Pixelbook, but the bezels will be slimmed down for a sleeker look and larger overall display in the same-sized package. Past that, there isn’t a lot of info available. Surprising. The first Smart Displays to feature Google Assistant were released earlier this year, but Home Hub will be Google’s first in-house smart display. The hub is a 7-inch display attached to a speaker—it’s essentially a non-detachable tablet glued to a Google Home Max. Like the Lenovo Smart Display, the Home Hub will provide an interactive element to using Google Assistant, which will be able to show weather data, allow you to check your security cameras, follow along with recipes in the kitchen, and a lot more. Leaked pricing info suggests the Home Hub will cost $150, which is very aggressive in the current market. 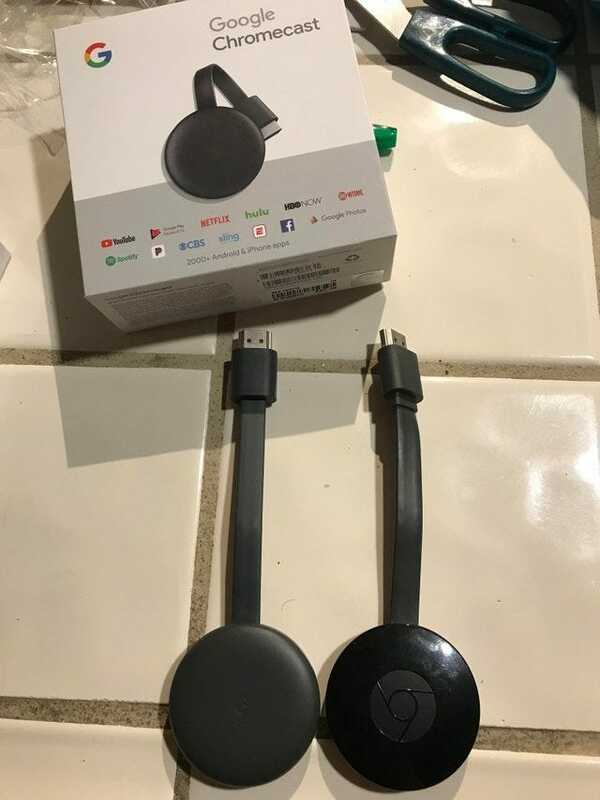 While one user was already able to buy this new third-generation Chromecast thanks to a Best Buy mess up, we still don’t know a whole lot about it. The sold unit wasn’t able to be activated since it will require a new version of the Google Home app, but we do know that it has Bluetooth. Why it has Bluetooth, we still don’t know—this could allow for a remote accessory, Bluetooth audio streaming, or similar features. It’s rumored to keep the same $35 price tag of the current generation Chromecast. It’s also unclear whether this new Chromecast will replace the Chromecast Ultra by offering 4K playback, which would make it the most affordable 4K streamer on the market—a category that seems to be heating up with the new Roku Premiere and Amazon 4K Fire Stick. 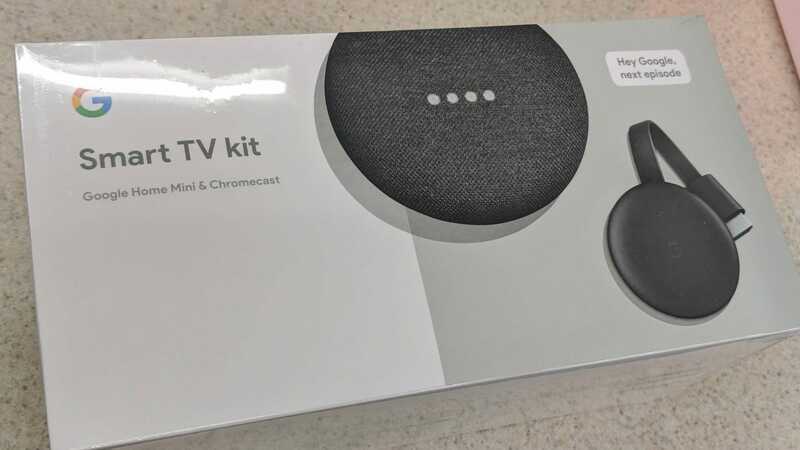 We also expect to see this new Chromecast being sold as a bundle with a Google Home Mini, which Google is calling “Smart TV Kit.” Interesting bit there. We may or may not see this one, but Project Campfire (aka AltOS) has been rumored for the last few months, though relatively little is known about it. The exciting thing is that it would allow some Chromebooks to offer a dual boot environment with Windows 10. 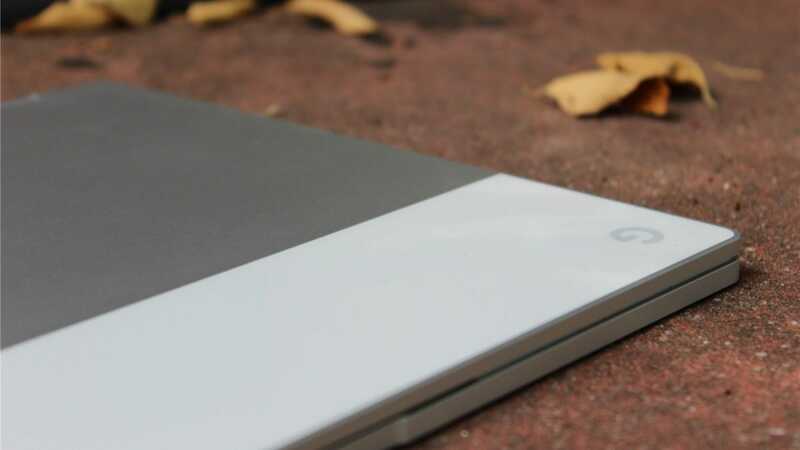 Google has been testing it on the Pixelbook, so we expect that it will show up on any new Chrome OS devices announced (Slate, PB 2), as well as last year’s flagship Chromebook. Past that, details are scant—just know that Windows may be coming to a high-end Chromebook near you. There were originally rumors of a “Pixel Watch,” but those have since been shut down by Google. Instead, we’ll likely see an increased focus on Wear OS and perhaps new hardware partner announcements. It’s also possible that Google could announce a sequel to last year’s flopped Pixel Buds in the Pixel Buds 2, but who knows if that will actually happen. Otherwise, there will be talk of software specifics for all the announced devices, and of course full details for all.